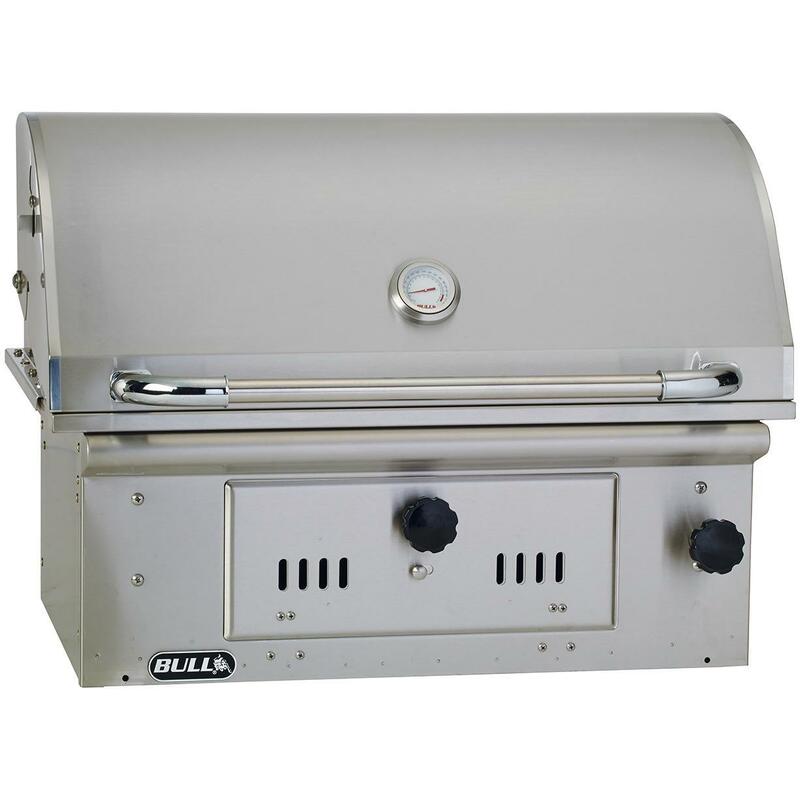 Product Description: Bull Bison 30-Inch Freestanding Charcoal Grill - 67531. The Bison keeps it simple, making your grilling experience a pleasurable one. 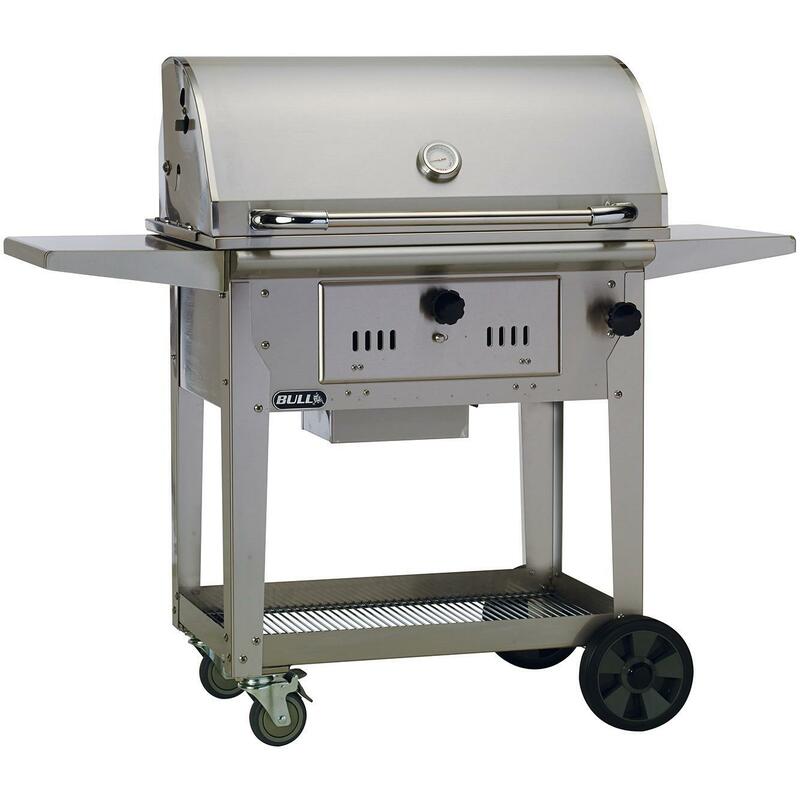 This 30-inch freestanding charcoal grill is constructed of lasting, 304, 18 gauge stainless steel for years of performance. Solid stainless steel grates support your meal properly above warmed charcoal. Air control vents installed on the hood and firebox help to circulate smoke and flavor properly. Manual charcoal elevation adjustment and fully adjustable charcoal holding bins give you full control of the cooking conditions. The single piece, double walled hood locks in heat and keeps you safe from charcoal smoke. This Bull charcoal grill cart is easy to move with 4 heavy-duty casters.